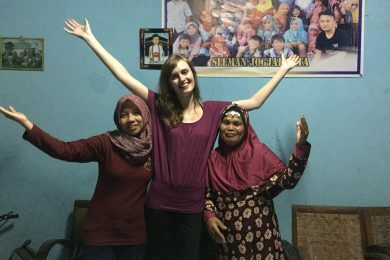 USE YOUR EXPERTISE TO CO-CREATE TRANSFORMATIVE CHANGE! 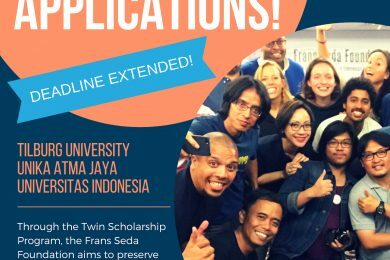 We are open for expressions of interest from ambitious Dutch and Indonesian professionals, aged 29 to 39. Your skills and experience have seen you reach new heights in your career. 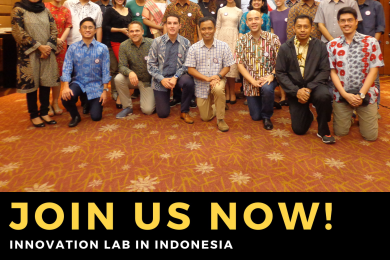 By joining the Innovation Lab, you you’ll see another side of your professional and personal self. 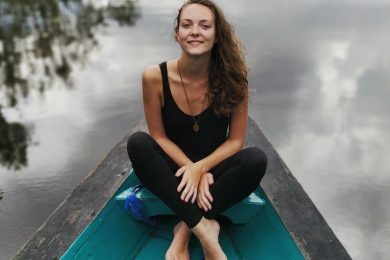 If you are interested in social issues, and want to do more than donate to charity but don’t know where to start, you’re not alone. 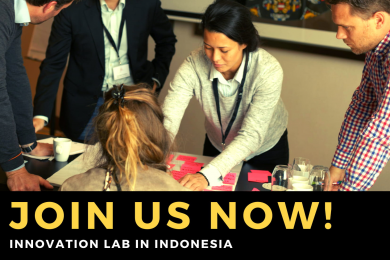 With the Innovation Lab, you can use your professional skills to contribute in further developing the impact of an ambitious nonprofit organization, and gain skills from other capable participants. 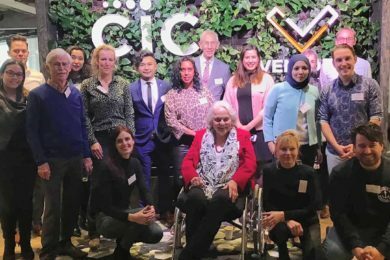 Through innovative co-creation, sharing skills, resources, and expertise can help both parties to flourish –your business skills can go further than you think. 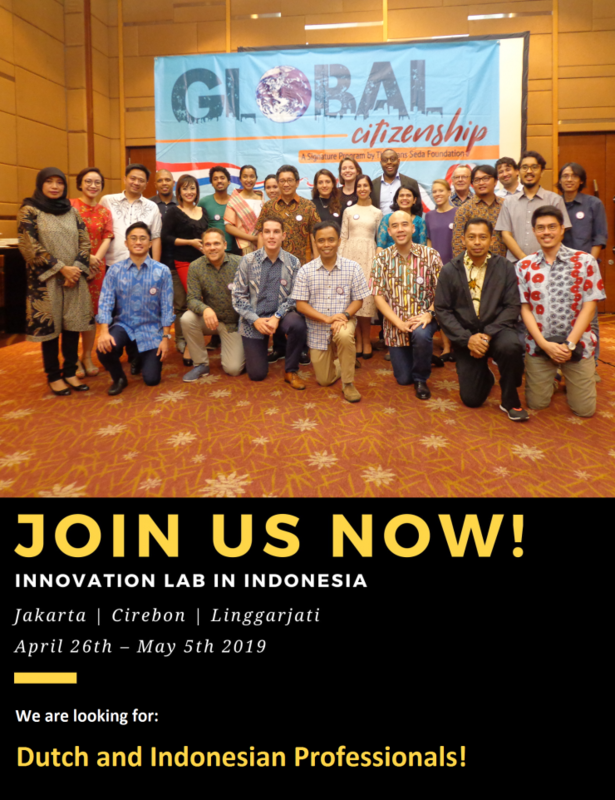 The Innovation Lab will take place in Jakarta and Cirebon, Indonesia from April 26th until May 5th. 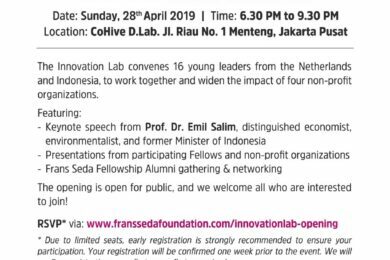 As all expenses during our Innovation Lab are covered by the Frans Seda Foundation, we expect our Fellows to commit a certain amount of time to working with us. 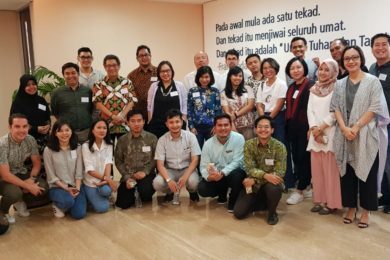 In general, this means all preparation meetings during the period leading up to the Innovation Lab and for the length of the Innovation Lab, though the more time a Frans Seda Fellow can put in, the more it’ll get out of our program. 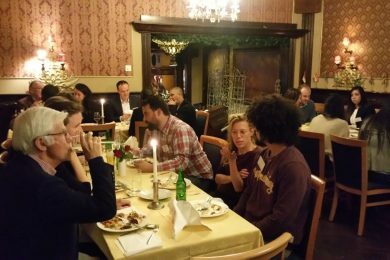 whether there are any other ways we can continue to work together. 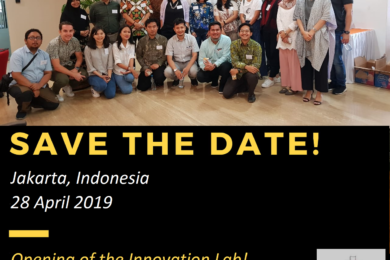 More information can be found in our brochure which can be downloaded here: 2019 FSF Innovation Lab Information Brochure for Dutch and Indonesian Professionals.